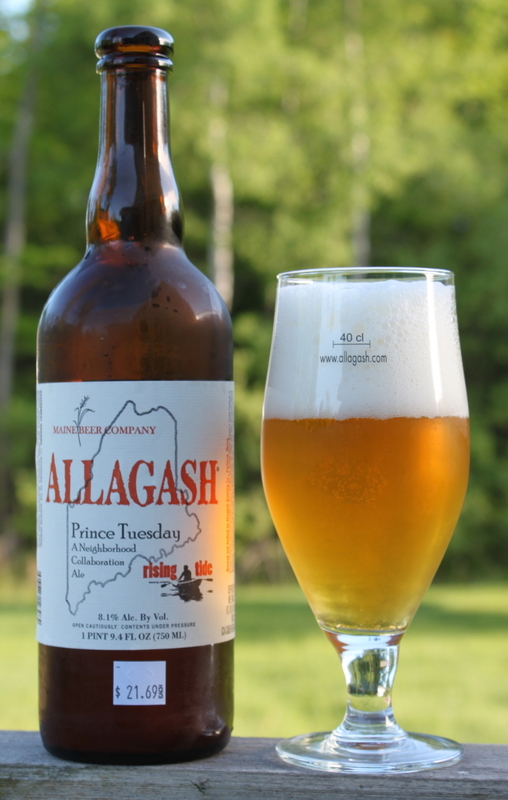 Prince Tuesday is a collaboration beer by Allagash, Rising Tide, and Maine Beer Company that was released only in Maine. The beer is in Allagash’s corked Belgian bottles, so it would stand to reason it was brewed there. However, the grist includes Maine grown rye, which is something Rising Tide uses in their beer Daymark. However, the hops are big and bold, a Maine Beer Company signature. Part of the proceeds go to Portland Trails, which takes some of the sting out of the $21.69 price tag. This beer also clocks in at 8.1% ABV.